There are usually two different types of addiction denial: type A and type B. Type A denial usually knows and understands that they have a problem, but they deny it when confronted by being dishonest and lying. Type B is either partially or totally blind to their illness. They achieve this by self-deceit, rationalizing, and justifying their actions and ignoring their problem, although it is obvious to others. Type B denial is both intellectual and spiritual and has a series of stages you must conquer in order to fully overcome your denial. If you are a type B denial, you may ask yourself how you could have been so blind once you realize intellectually that you are addicted. However, your denial does not automatically turn off when you realize that you are addicted, it just begins to change and adapt with you. In order to fight your denial, you need to overcome and find a different outlook on your addiction. You are fighting a denial system, not just denial of a specific issue. You must conquer both intellectual and spiritual denial. You may understand the logic behind the fact that you are an alcoholic, but that does not mean that you accept it in the core of your inner self. If you cannot conquer this addiction, you will relapse despite your efforts and continue to fall in the pattern. Intellectual denial is the lack of understanding that you are an addict. You may think that an addict is a homeless junkie that lives on the streets, and you cannot possibly be an addict when you have a nice house, family, and you pay your bills. This is false. Everyone has the ability to become addicted, and while addiction can affect social situations, you cannot exempt yourself from addiction because of it. Spiritual denial is having a hard time internalizing the truth that you are an addict. You don’t believe it in your heart, and you may avoid situations in which you are labeled as an addict. 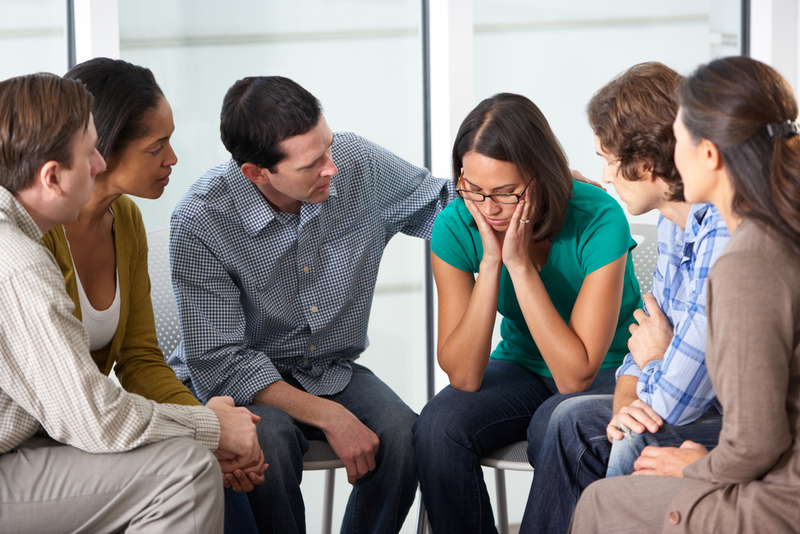 It is important to attend support group meetings during your early treatment days to reinforce your new realization that you have a disease. There are three main stages of denial. Stage one is where you truly believe that you don’t have an illness. You can overcome this by educating yourself and creating intellectual acceptance. However, emotional acceptance requires an internal conversation and is a process that must be reinforced constantly to grow and become stronger. Stage two denial is denying the need to continue support treatment after initial treatment. This is denial of being powerless in addiction. You must change your inner self, and transfer that power to something greater than yourself like a support group or higher power. Stage three is the denial of the need to put the maintenance of sobriety above all other needs. You must constantly continue participation in recovery support and steps, and you should keep up your activities in sobriety groups. Hired Power can help you overcome your addiction and help in your recovery process. The trained professionals can guide you on your path to self-discovery and growth by suggesting the best recovery plan for your situation. Call 800-910-9299 for more information on how you can begin your recovery journey today!